Home Analysis Are you the problem in EOL discussions? SETTING CARE GOALS for very ill patients can be a challenge. Those conversations can become even more difficult when patients or family members have an unrealistic view of a prognosis or a poor understanding of the downsides of life-extending treatments. But new data looking at difficulties in end-of-life care communication find that those problems may come not exclusively from patients or family members. A study in the April issue of JAMA Internal Medicine that surveyed inpatient clinicians about the barriers they face in talking about end-of-life care found that all too often, hospitalists and residents place much of the blame for communication problems on patients and family members. 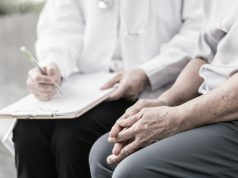 But researchers also found that many physicians have received little or no formal training in talking to patients at the end of life, which may contribute to some of those barriers. But as Dr. You points out, given physicians’ lack of training in end-of-life communication, doctors may not feel comfortable initiating such discussions or even know the best questions to ask to get the conversation started. The study, an initiative of the Canadian Researchers at the End of Life Network (CARENET), involved more than 1,200 hospital-based clinicians at 13 university-based Canadian hospitals. Researchers asked physicians, residents and nurses about the barriers they encountered during end-of-life care decision-making and their willingness to talk to patients about end-of-life issues. When the survey asked clinicians to rank barriers to end-of-life discussions, more than 700 hospitalists and residents “as well as the more than 500 nurses who participated “identified family- and patient-related factors as the chief culprits. Respondents said the No. 1 barrier in end-of-life communication (out of 21 identified) was the difficulty family members have accepting a poor prognosis. Other common barriers included disagreement among family members about care goals and the incapacity of patients to make decisions about their care. 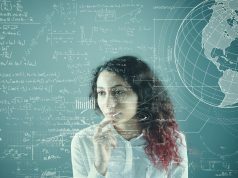 Other obstacles that landed in the top half of the list included language barriers and the lack of substitute decision-makers or uncertainty about who those might be. Researchers found, however, that nurses gave more weight to physician-specific barriers. 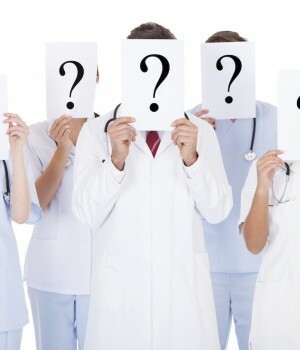 Common problems identified by nurses included physicians’ lack of time; the fact that multiple physicians were looking after one patient, leading to confusion about who should initiate a discussion; doctors’ lack of communication skills; and physicians’ desire to avoid conflict or strong emotions. Most physicians said they are willing to initiate end-of-life discussions and serve as a decision coach helping patients and families make a final decision. But less than one-third (28.5%) of staff physicians reported having received any related formal training. That lack of training makes it harder for doctors to successfully navigate around “or even tackle “perceived barriers to effective communication. Many of the physicians surveyed said they were OK with residents initiating these conversations, although fewer approved the idea of such discussions being started and led by advance-practice nurses. Physicians did note, however, that it can be helpful to have other professionals, especially social workers and nurses, directly involved in both communication around goals of care and in support roles such as decision coaches. Dr. You was also lead author of a previous study published in the Nov. 3, 2014, issue of the Canadian Medical Association Journal (CMAJ), which found that only 22% of patients and 24% of family members reported having been asked about EOL care preferences. That’s a problem, he adds, because other recent research published in March 2010 by the British Medical Journal demonstrated the benefits of having trained nonphysician advanced-care facilitators lead discussions. That study found that those discussions foster agreement between patients and surrogates about treatment and help physicians closely align patients’ wishes with the care provided. “Clearly, there is a serious need for improvement, but it’s important to realize that no single intervention will fix this problem,” he says. 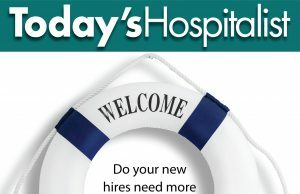 “We need strategies at multiple levels: decision-support tools for patients and families, but also tools to help clinicians improve their communication and advance-care planning skills.” Those skills are particularly important for hospitalists, he adds, who often end up caring for patients at the end of life. Based on study findings, the participating institutions are working on interventions to better support clinicians. One is a new process that Dr. You has helped develop called “Just Ask,” which was described in a July 15, 2013, CMAJ article. The process lays out a communication and decision-making framework that clinicians can follow. The process starts by identifying high-risk patients, and having physicians ask themselves if they would be surprised if the patient died within the next year. Subsequent steps in the process include tips on how to share information on prognosis, how to elicit or clarify patient values, and how to steer a conversation about life-sustaining treatments so patients and family members can understand the limitations of those interventions. The CMAJ article also includes many examples of scripted questions that clinicians can ask throughout the process. ” ‘Just Ask’ is a good starting point,” Dr. You says, adding that the initiative also includes tips for documenting discussions in patient charts. Regardless of how hospitalists and their organizations address EOL-discussion skills or training deficits, Dr. You says that it’s important to remember that facilitating these often stressful conversations needn’t be a solo act.